Astronomers again began to doubt the cometary nature of the first discovered interstellar object: perhaps Oumuamua is a cross between a comet and an asteroid. A year has passed since astronomers noticed a small body crossing the solar system along such a trajectory and with such a speed that in the end it was defined as an interstellar object. 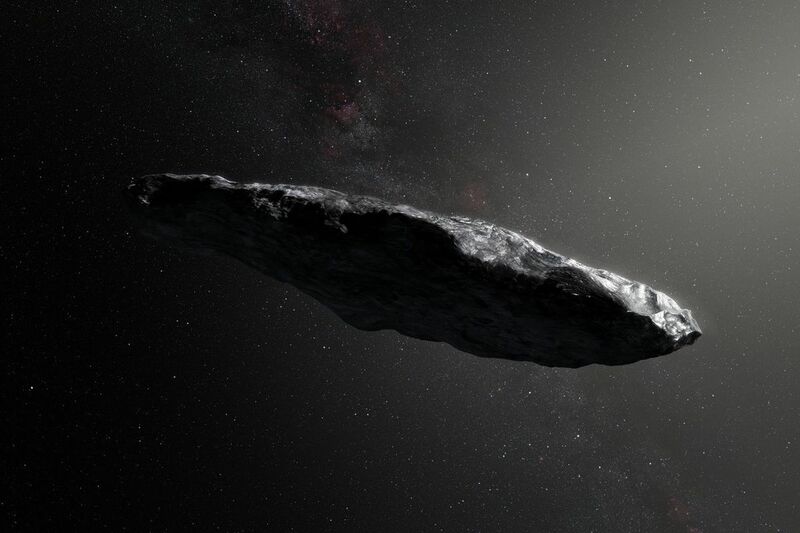 It received the corresponding name – 1I / Oumuamua: 1 – first, I – interstellar (Interstellar), Oumuamua – “guest” or “envoy” translated from Hawaiian (the object was first noticed by researchers working in an observatory in Hawaii). It is hardly surprising that Oumuamua draws the great attention of scientists, who, however, still cannot find out its nature. Initially, it was considered a comet, then an asteroid. A few months ago, astronomers discovered that Oumuamua could get additional acceleration due to the evaporation of light substances from its surface by the Sun, and again decided that it was a comet. The same variant is indicated by the study of the Oumuamua spectrum: it contains a mass of water ice characteristic of comets. But in the new work of Cambridge astrophysicist Roman Rafikov, this version is again questioned. The corresponding article is presented in the online library of preprints arXiv.org. Indeed, no matter how many arguments in favor of Oumuamua’s “cometary nature” hypothesis, one thing is clear: it did not have a tail that comets should eject when moving closer to the Sun. Of course, the tail could be too sparse, and the observations of the impetuous object were too short, so we could simply not notice the tail. However, Professor Rafikov points out that the evaporation of a substance from the Oumuamua surface, which could create a tail and give it additional acceleration, in any case should have affected the character of the object’s rotation. Perhaps a strange interstellar guest indicates a significant disadvantage of the existing classification of small celestial bodies. We are accustomed to divide them into stony inhabitants of the inner regions of the Solar System, asteroids moving along comparatively circular trajectories, and ice comets, more numerous, located in distant outer regions and arriving to the Sun in highly elongated orbits. The exotic features of Oumuamua may indicate that such a binary separation is not accurate enough and there are not only “strict” asteroids and comets, but also intermediate variants. Next story Unique fossils can tell how dinosaurs became so big.